Order food online with your iPhone or iPad using the Lieferservice.at app. Super easy! Are you feeling like a delicious pizza, salad, burger or kebab? You can easily order the most delicious meals from hundreds of restaurants in Austria. 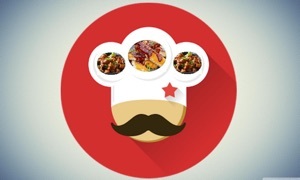 Order pizza, schnitzel, lunch, pasta, Chinese or Indian takeaway online: you'll be spoilt for choice! You'll have your meal within 30-45 minutes (depending on the restaurant's availability). • Pay safely with a credit card, PayPal or Sofort Überweisung. Ordering is very simple. Fill in your postcode/street name or simply let the app find your location automatically. You can easily pay a credit card, PayPal or Sofort Überweisung. Naturally, you can also pay with cash on delivery.